Comfort International, Inc. Achieves $470,000 PG & E Rebate & PG & E Top Performer – Comfort International, Inc. Comfort International, Inc. (CI) is being recognized for its energy savings project for TDK’s 11 2,000 square foot clean room facility, saving TDK over $515,000 per year in annual energy costs. The project represents the largest annual savings in the Silicon Valley for Pacific Gas & Electric (PG&E) in 2016. 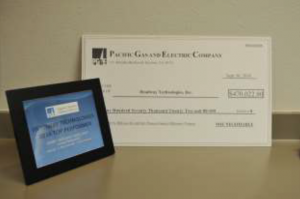 Comfort International’s project also facilitated a rebate check of $470,022 to TDK from PG&E. From left to right: Helder Sherpa (PG & E), Alan Pong (Comfort International), Yoshiro Nakagawa/Michael Greene/Tony Vu (TDK/Headway) honored TDK with a special commendation for 2016 Top Performer for the outstanding energy savings achieved. 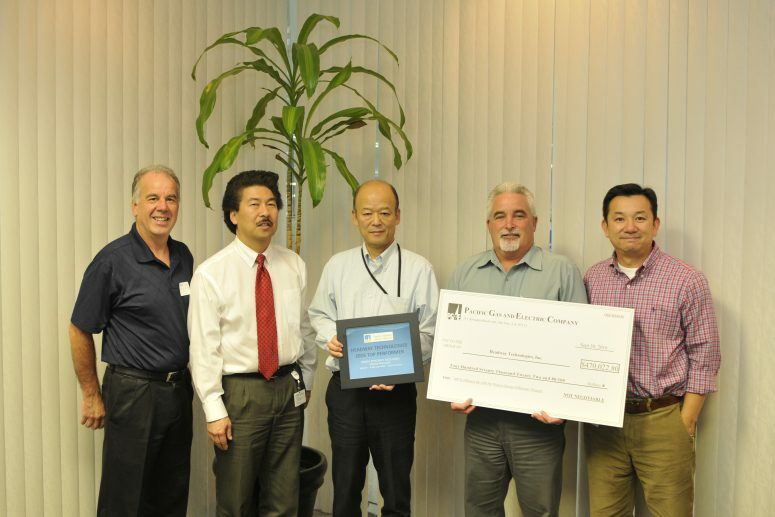 PG&E executives presented the $470,022 rebate to TDK/Headway in a special ceremony at TDK’s Milpitas headquarters. The project was performed without disrupting TDK’s production , while maintaining the tight tolerances of +/- one degree and less than 2% humidity required by the class 100 facility. The project achieved a guaranteed return on investment for TDK in less than 2 years.